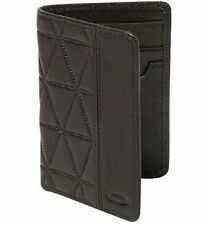 Guc Tumi Womens Trifold Wallet Black Leather 7.5x4"
Buxton Womens Leather Mini Tri-Fold Compact Wallet. Black. EUC. This page was last updated: 19-Apr 07:41. Number of bids and bid amounts may be slightly out of date. See each listing for international shipping options and costs.